My friend, watching over you are the eyes of a mighty, loving, compassionate, caring and purposeful God. 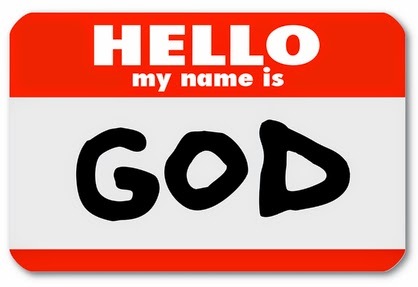 The All Mighty God who spoke the entire universe into being. Almighty God has equipped you to outshine everything and everyone else. That same Lord Jesus thought enough of YOU to die in your place only for the sake of purchasing complete redemption for you. Everything God has said is for your benefit. Everything Almighty God does is for your benefit. Everything Jesus Christ did is for your benefit. Everything Christ says and does is for your benefit. All of earth is your arena. Seize the space! Jesus Christ has given YOU permission to be the best. One cannot separate who you are from what you believe. As a Christian I am what I believe. I believe prayer is the ultimate which resolves all things for the believer in Jesus Christ. Faith drives the life of a Christian. Many times what you achieve depends on the amount of faith that you have in yourself, in your circumstances, in your future. The amount of faith that you have in your God allows you to see events and know in your heart that whatever it is that too shall pass. If you are what you believe, I’m asking you to trust the Lord completely. Acknowledge Almighty God in all you do. Get in the habit of memorizing Scripture. Recite a Bible verse repeatedly, throughout your day. It is a powerful self-help tool. The Lord honors His Word. My friend, have a Jesus-blessed day. Hold your head high. Keep your chin up. Remember, it is not over until God says so. You and Jesus Christ make up the majority in your life. Majority wins. Oh, its a bright new Monday...When you arrive at your work and business destinations this Monday morning, YOU set the tone for how your day would unfold. Should anything crop up that threatens to change your good mood, tax your patience, get on your last nerve, or attempt to ruin your day look on the brighter side of you and the bright side of the situation. Look further at the overall bigger picture, which is that you have a source of income to meet your needs and your family’s needs. Focus on the Christ factor. Jesus has told you His grace is sufficient for you. The Lord’s strength is made perfect in your weakness. With that power booster in mind you can brush negativity off and rise above all situations. Immediately purpose and resolve to have a good, productive, stress-free, and blessed day, today. Always remember you are highly favored by Almighty God. Jesus loves you too much to let anything of this world overpower you. Humble yourself in prayer and thanksgiving; praise your way out of difficulties. The Lord God Almighty inhabits the praise of his children. Fashion your consciousness with this Bible verse: “Do not think of yourself more highly than you ought, but rather think of yourself with somber judgment, in accordance with the measure of faith God has given you” (Romans 12:3). My friend, whatever the nature of any Monday dilemmas, please know that you have within you the power to turn situations around and cause things to fall in place. You have been gifted with the grace of Jesus Christ. Jesus has told you the buzzword for your mind and spirit; which is: “I CAN DO ALL THINGS THROUGH CHRIST WHICH STRENGTHENS ME” (Philippians 4:13). Let those winning words conclude how you achieve your “Rise Above It” attitude, today. Keep your eyes on the prize—Jesus Christ. Child of the one true living God, celebrate your life and victory in Almighty God. I wish you a magnificent Monday. "Faith is the confidence that what we hope for will actually happen; it gives us assurance about things we cannot see. Through their faith, the people in days of old earned a good reputation. By faith we understand that the entire universe was formed at God's command, that what we now see did not come from anything that can be seen. It was by faith that Abel brought a more acceptable offering to God than Cain did. Abel's offering gave evidence that he was a righteous man, and God showed his approval of his gifts. Although Abel is long dead, he still speaks to us by his example of faith. It was by faith that Enoch was taken up to heaven without dying--"he disappeared, because God took him." For before he was taken up, he was known as a person who pleased God. And it is impossible to please God without faith. Anyone who wants to come to him must believe that God exists and that he rewards those who sincerely seek him." All I'm saying this morning is, Almighty God is huge. The ways of Almighty God are "... As the heavens are higher than the earth so are my ways ..." Isaiah 55:9. My friend, God does not tell untruths. What The Lord has said about Himself in the Bible is exactly who He is. I come to testify to you, prophecy in your life, coach, tell and teach you, simply, that Almighty God is big. 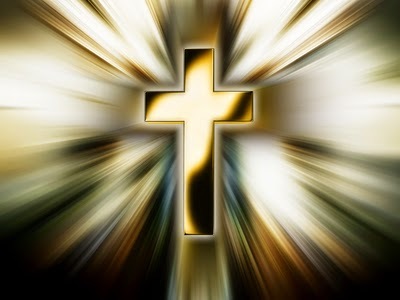 Almighty God (Father, Son, and Holy Spirit) is One God. The only true and living God is bigger than your mortal mind could ever comprehend. Almighty God manifested himself in human form, as God the Son Jesus Christ. For your benefit. Jesus Christ is phenomenal. Jesus loves you with a perfect love. The Lord is the lover of your soul. Big, infinite, matchless, soul redeeming, tremendously astounding, Jesus Christ. You ought to know him today. You would go far places in Jesus. I like African movies. When I had more free time on my hands it was one of my favorite leisure activities. Discovered during one of my life's darkest periods, those movies became a source of comfort at a time of deep despair. As I mourned and groaned over major losses--loss of trust, marriage, love, financial stability, good health, possessions--you name it I've seen it. Endured it. A comforting thought was the constant wishful feeling of being home where I was born and raised. The movies took me back to the culture of my childhood. It felt safe to recreate the innocence of childhood. Back then there were no complexities to deal with. Hahahaha(! )...had I fully understood and believed how my Lord Jesus would shortly perk me up and fill me with strength, hope, and joy. More joy than I have ever known! Multiple Rounds would quickly emerge. Some of the same stuff plus new stuff. But each time it met a different, confident, woman of God. Round Two met a seasoned, matured follower of Christ. The impact was zero. Subsequent Rounds have met Teflon; nothing can stick. Hallelujah!!! These days my laughter is lasting. My smile is tattooed on my face for good. The pep in my step is rocking. The twinkle in my eye is captivating even to myself. The point I'm making is, Jesus Christ makes ALL the difference. You ought to know that. You ought to make sure your life has an anchor like Jesus. 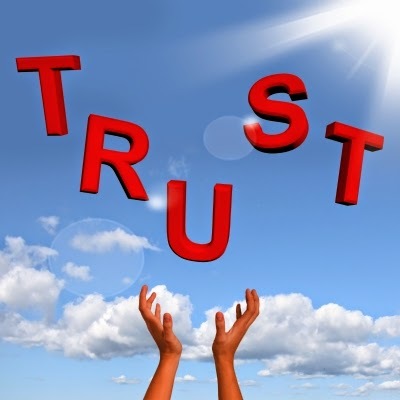 What awaits you when you place faith and trust in Almighty God is unexplainable by human terms. My friend, you ought to take Jesus and run with Him. The Lord is your source. Allow Jesus to be all the resources you need. The Lord is absolutely phenomenal. I know you could use such a friend. Your life needs such a bolster. There is no better support system than Jesus Christ. "Allelujah eh. Allelujah eh. I go worship my God, he go do ahm for me! Allelujah eh eh eh Amen! Allelujah eh. Allelujah eh. I go worship my God, he go fit ahm for me. Allelujah eh eh eh. Amen!" This is my prayer and wish for you. My friend, keep taking it one day at a time, with faith. May you know increase, today. In Jesus name. All of life is business. Give something. Get something. My friend, Make Jesus Christ your business. Certainly, make salvation and eternal life your priority. If you do not make investments you cannot get returns. Invest time with Jesus. In return get a transformed life full of love, void of fear, overflowing with hope, unshakable faith, unending joy, perfect peace, lasting laughter all the way. Besides, Heaven's market can NEVER crash. On His Wall Street where Almighty God operates YOU are the prized stocks. Have you invested you? The Lord Word is bonds. The Jesus formula yields 100000000X on single investment. I'm not a financial analyst by any stretch, but this sure sounds like Thee Plan to me. I'm taking my chances. Cashing in everything. Putting all my eggs in one basket!!! And you? My friend, I am talking PRAY and READ the Bible. Watch how you grow, succeed, thrive, and multiply. Oh my world! Jesus Christ is a genius business guru. Follow The Lord. You have been blessed with another new beginning. Make the absolute best of it. My friend, No matter that we think we know it all, we really know nothing. There is someone who does know everything. Totally in charge of all wisdom, knowledge, understanding. Everything. Seek The Lord personally, professionally, spiritually, mentally, emotionally; seek Jesus Christ totally. When we realize how insufficient we are, then can we understand how adequate Almighty God is. When we recognize how incapable we are, then can we understand how qualified Almighty God is. When we admit how unknowledgeable we are, then can we appreciate how up-to-date and updated Almighty God is. When we accept how foolish we are, then can we understand how smart and wise Almighty God is. When we fully comprehend our limitations, only then can we begin to know and understand infinite, omniscient, omnipotent Almighty God. Hallelujah. Amen! The Lord knows it all. Seek Jesus in every aspect of your life. Then could you become wholesome. Wishing you many many blessings, and peace, today. "Then the angel showed me Jeshua the high priest standing before the angel of The Lord. The Accuser, Satan, was there at the angel's right hand, making accusations against Jeshua. And The Lord said to Satan, "I, The Lord, reject your accusations, Satan. Yes, The Lord, who has chosen Jerusalem, rebukes you. This man is like a burning stick that has been snatched from the fire." Jeshua's clothing was filthy as he stood there before the angel. So the angel said to the others standing there, "Take off his filthy clothes." And turning to Jeshua he said, "See, I have taken away your sins, and now I am giving you these fine new clothes." Then I said, "They should also place a clean turban on his head." So they put a clean priestly turban on his head and dressed him in new clothes while the angel of The Lord stood by. Then the angel of The Lord spoke very solemnly to Jeshua and said, "This is what The Lord of Heaven's Armies says: If you follow my ways and carefully serve me, then you will be given authority over my Temple and it's courtyards. I will let you walk among these others standing here. Listen to me, O Jeshua the high priest, and all you other priests. You are symbols of things to come. Soon I am going to bring my servant, the Branch. Now look at the jewel I have set before Jeshua, a single stone with seven facets. I will engrave an inscription on it, says The Lord of Heaven's Armies, and I will remove the sins of this land in a single day. And on that day, says The Lord of Heaven's Armies, each of you will invite your neighbor to sit with you peacefully under your own grapevine and fig tree."" My friend, did you know the Lord himself is an Eraser. Not to worry yourself, place that pile of shame all together and hand over to Jesus. Oh, did I mention Jesus himself is a stain Whitener. 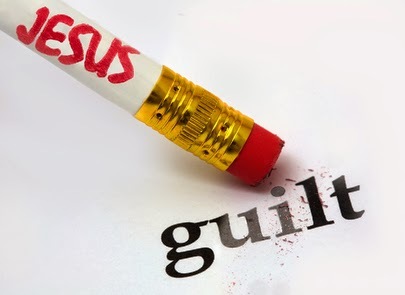 The Lord will remove all that guilt you are carrying! Hand it over. Almighty God is the help you have been looking all over the place for. Now you know what Christ can do for you. ASK The Lord to help you. Jesus gladly will. Enjoy a blessed Friday and a great weekend. Almighty God has called you LIGHT of the world. Be a bright light in the world today. Let your flame warm up somebody's coldness. Let the lamp that you are glow in the lives of others around you. I'll be praying good prayers for you. Please do likewise for me. Let's lift each other up. Enjoy a terrific day, my friend. At Do It For Christ Intl., we point you directly to Jesus Christ. This ministry believe being a Christian is having an existing relationship with Jesus Christ. God the Son. You do not need a middle person between you and Almighty God. Jesus Christ death and resurrection took care of that. You DO need time and space to simply focus and develop intimacy with The Lord. When it comes to this God business it is a one on one business. Let no one mislead or fool you. Every person will answer for self. Do not follow people and all the bunch of confusion out here today. You must pay the most attention to your own soul salvation. Don't sell your soul to please the world. Human beings are fickle. Almighty God is the same yesterday, today, and forever. Follow the one true Living God. And God Almighty says the only way to Him is through His Son Jesus Christ. That settles the issue for me. I live for and do this work to help settle it for you. I have created our ministry website to be an Online personal worship experience. A place that helps you help yourself, as you journey with The Lord. You are invited to visit the doitforchrist website. We do some things the old-fashioned way! You will find the monthly Hymn, Psalm, and Wisdom words. There are memory Bible Verses, Prayers, devotional guide, and many Jesusful moments. These are tools designed to make you want more of The Lord. The more you want of Jesus the more The Lord draws you closer to him; and Jesus draws nearer to you. The easier it becomes to live for the glory of God. You, too, do it for Christ. My goal is that when you visit our website you would forget you are on the Internet, and for that period think only of Jesus Christ and your eternity. The star represents the radiance of Christ. The haze symbolizes the glory and presence of Christ. The red cloth is manifestation of the Blood of Jesus. The cross represents your trials and you together-your life. The Bible represents the infallible Word of God. The crown symbolizes triumph in Jesus Christ. Is anyone home? Hello. Are you in there? Fourteen years ago in the early entry of this date, January 8, my father, Mr. Henry D. Grimes of Maryland County, Liberia West Africa (affectionately called "Deddeh" by his children) departed this life. About two months before his 64th birthday. The hole in my heart has not healed completely; I am his oldest child. I proudly bear his initials, HDG. He called me "My Ma." I miss him. But I'm happy that he is with Jesus. This I know for sure, because he had salvation. What better company to keep than in the presence of Almighty God. Yet, today January 8 is a day of joy for us, his offspring! Deddeh left us Toga. The only son of the six remaining children my parents' marriage produced. The best brother a girl and woman could have. The most exceptional son a mother could be blessed with. And to his own son a gem of a father. Today is my brother, Hector Toga Grimes, birthday! I praise The Lord for Toga. For all we know the Trumpet could sound right this minute. Don't get too comfortable if it does not; the end of this life could happen as soon as you get up from that spot you're in right now. I mean, in an instance, everything would be ash and ruins. The Lord Jesus Christ will have returned to take His people home. Where would you be? Oh, I know you are a Christian, all right. I said where would you be! Standing in the same spot down, looking up? Or being lifted off the ground, going up? You are as comfortable as your answer. At the turn of each year I seek The Lord for the direction of Do It For Christ Ministries in the coming year. I enter a period of intense prayers, fasting, and listening, with a focus on Heaven. Several years ago through the guidance of the Holy Spirit, Do It For Christ started its year designation. This New Year, 2015, has been designated: The Year of Bold Faith. Make your 2015 just that. 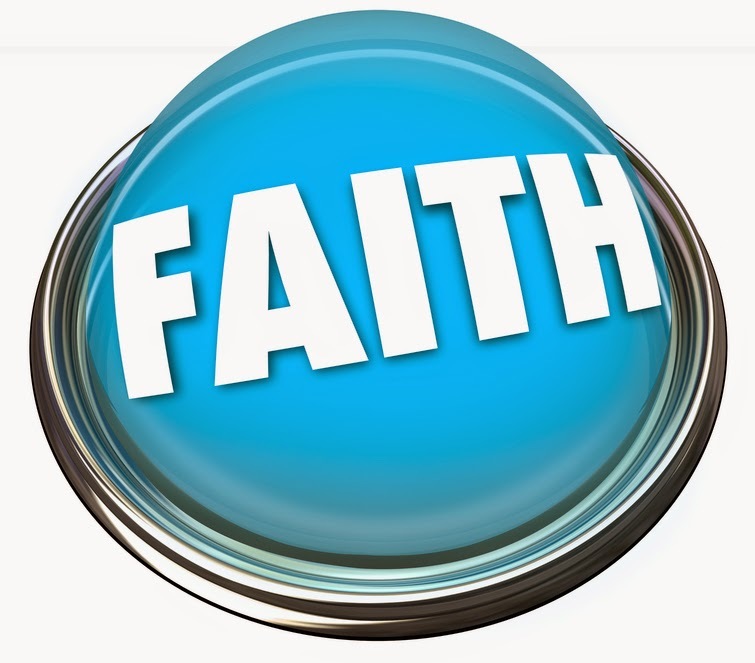 Scripture say: "And without faith it is impossible to please God, ..." Hebrews 11:6. I'm amazed at Jesus Christ. I am amazed at how love could be so pure, so enveloping, so tight, so possessive. So everything. So full. I'm amazed at God's love. And when I think of who I was before The Blood, and grace, and mercy, and redemption ... Oh my, oh my! What love. I stand amazed at my Lord. This is my testimony this first Monday morning of 2015. What's your testimony? It's your first Monday morning of the New Year. You know what a Monday morning means for you. What is your declaration for your belief in The Lord? I am sure you have many a "Test It Morning Moments!" Say it out loud to yourself, until it empowers you. The love is in the testimony. The testimony grasp the love. The love fashions the test it moments into declarations of just who you are. The love affirms you. Love child. It's the love. It has always been about the love. God's love! My friend, may all the roads you have travelled lead you straight into God Almighty arms of love. Lord, I just thank you, thank you, thank you. I just thank you, thank you, thank you. Lord, I just thank you all the days of my life. Thank you, Lord Jesus Christ. If it were not for you I wouldn't be. I will thank and praise you every day of my life.